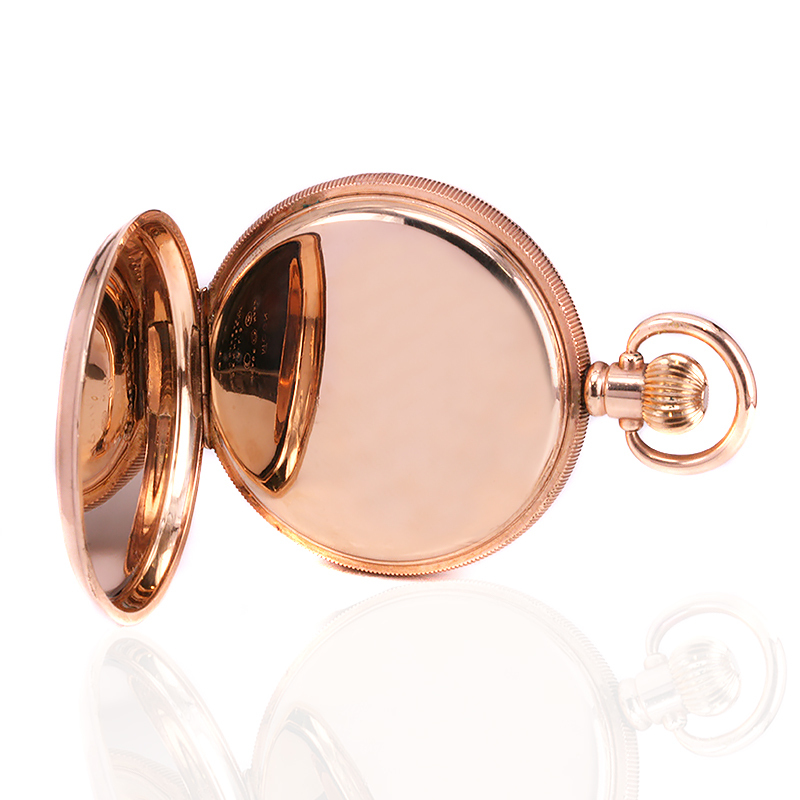 Product code: W1428 Categories: Sold Items, Sold Pocket watches. There is something so nice about holding a genuine antique pocket watch in your hand, and here is a very stylish gents antique Waltham pocket watch made in 1917 that is in superb condition and running perfectly over 100 years later. Made in a rolled gold case which measures 50.5mm by 71.3mm to the top of the bow, is in excellent condition and has a nice crisp engine turned design to both sides. Rolled gold was a technique that started during the Industrial Revolution in the 19th century and was made by rolling a sheet of gold over a base metal. This allows for a solid sheet of gold to be clad to the metal which can easily be polished and engraved as opposed to gold plating which is done via electricity and is not as strong or long lasting. The dial is all original and so pristine and displays traditional Roman numerals with the sub-seconds at the bottom and is so easy to read at any time of the day or night and has no cracks or damage. Inside is a lovely 15 jewelled movement which has just been fully serviced, keeps perfect time and comes with our twelve month warranty. This antique pocket watch would make a perfect gift for that hard-to-buy for person in your life and will always be such a wonderful conversation starter. This antique pocket watch was made by Waltham in 1917. In addition to using grade numbers, Waltham also used many grade names on their watches. These names were often the names of Board members, company investors, or other prominent individuals. The grade name basically designates the model and/or level of finish of the watch. Some of the more popular Waltham named grades were: Appleton Tracy & Co., William Ellery, P. S. Bartlett, Crescent Street, Riverside, Central Park, Premier, Broadway, Royal E. Robbins, Vanguard, Bond Street, Sterling, Royal, Maximus and Colonial .